Enough with the Pumpkin Spice Lattes already. Seriously. If I see one more Instagram photo of a Starbucks cup with #PSL tagged I may throw my iPhone. And my iPhone doesn’t deserve that. First of all, I love fall. I love it, love it, love it. I love the changing colors and the cozy sweaters and the boots and the crisp air. But, folks – it is not fall. It is September 5th. Fall starts September 22nd. 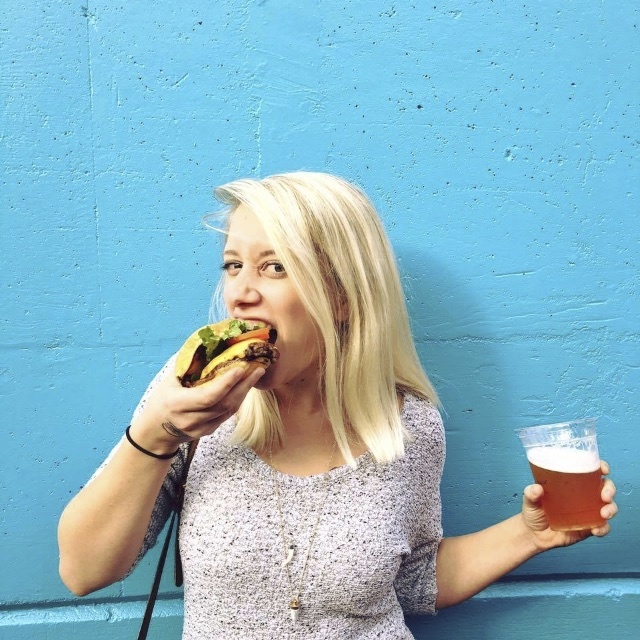 And who wants to get rid of summer, anyway? Who wants to give up the sun setting at 9pm or the lazy floats in the pool or the sun-kissed cheeks or the ridiculously ginormous sunglasses? So I decided to make myself a summer snack. 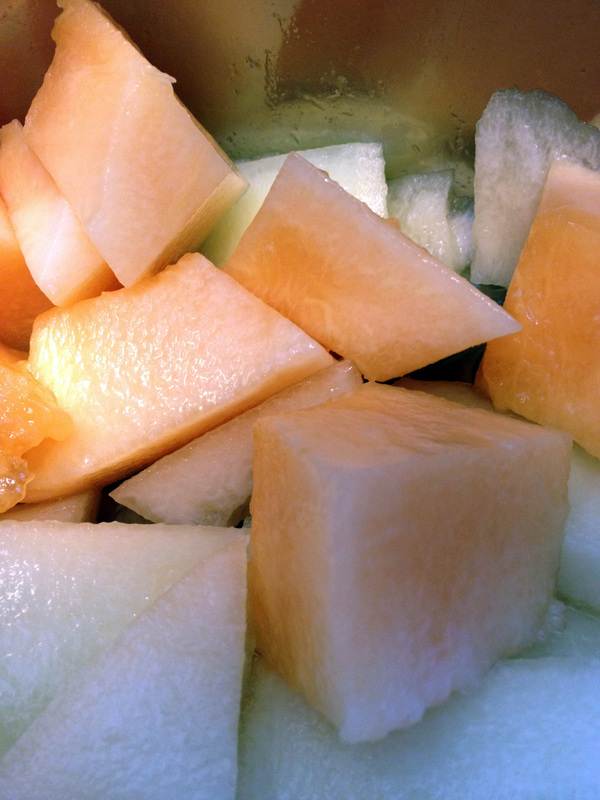 Melon Gazpacho. Because it’s a soup (which is very fall-like of me), but it’s chilled and it’s made with cantaloup (which is delicious and in season in the late summer). 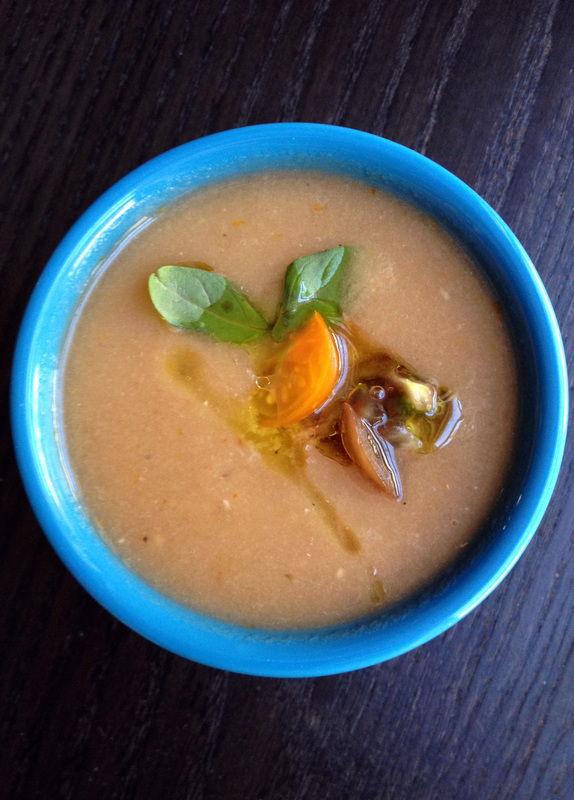 Gazpacho is incredibly easy to make and it is perfect for a hot summer day. Come on. You know its still a hot summer day out there even though Labor Day has passed. So don’t turn on your oven. Don’t turn on your stove. 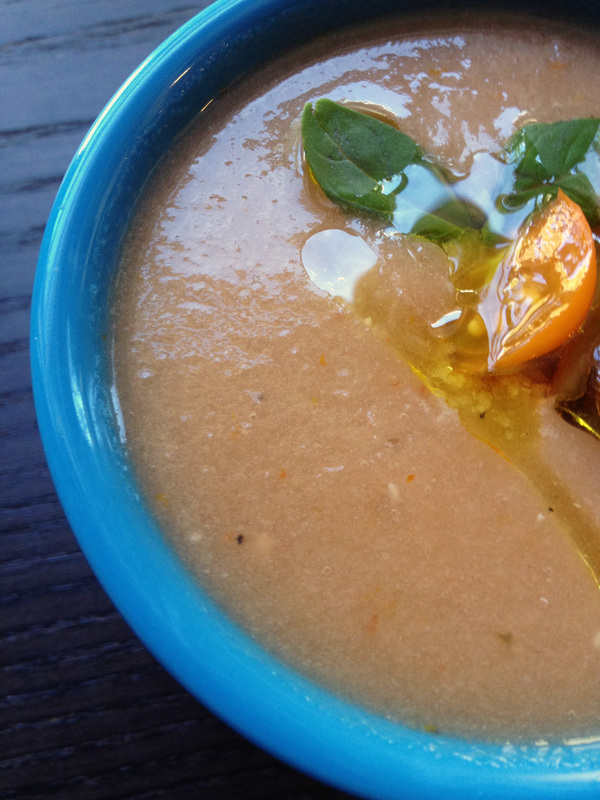 Grab a melon or two and make yourself a delicious gazpacho. I used one and a half melons. Seeds scooped out and rinds cut off. I only used one and a half because I have a tendency to eat a lot of melon. 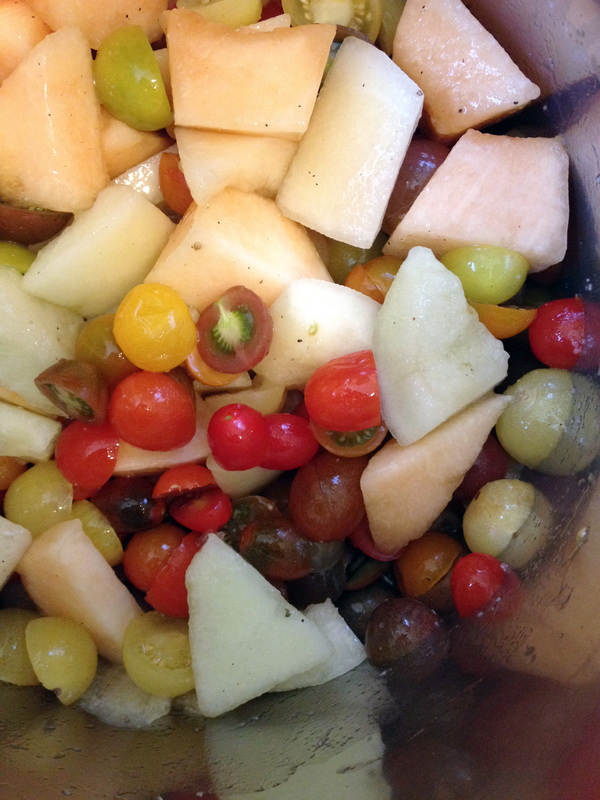 I could have used two melons, but that other half disappeared before gazpacho-making time. I also threw in about a quart of cherry tomatoes because I had a bunch in the refrigerator. If you have some tomatoes, throw in the soft ones. They still taste as good and you’re going to blend them up anyway. 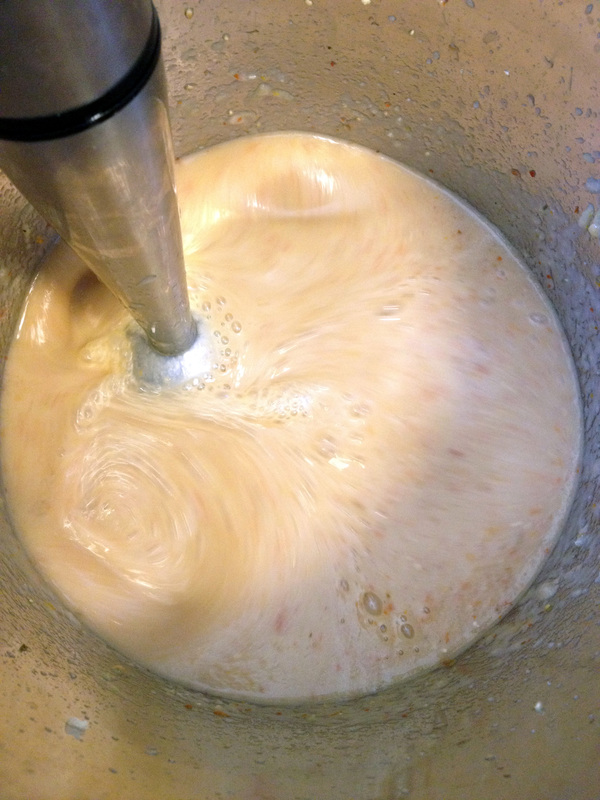 We have an awesome immersion blender that Brad and I use all the time. 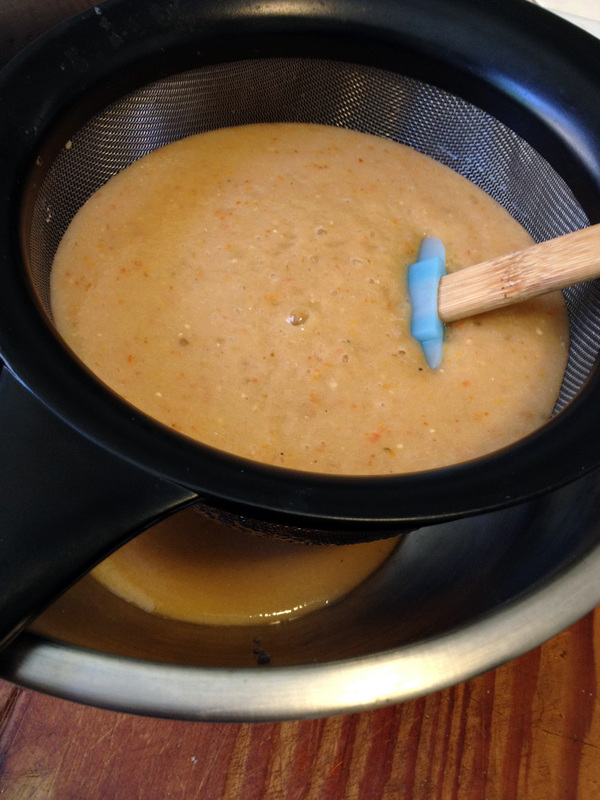 It was perfect for this occasion, but you can also just blend the mixture in a blender or food processor. 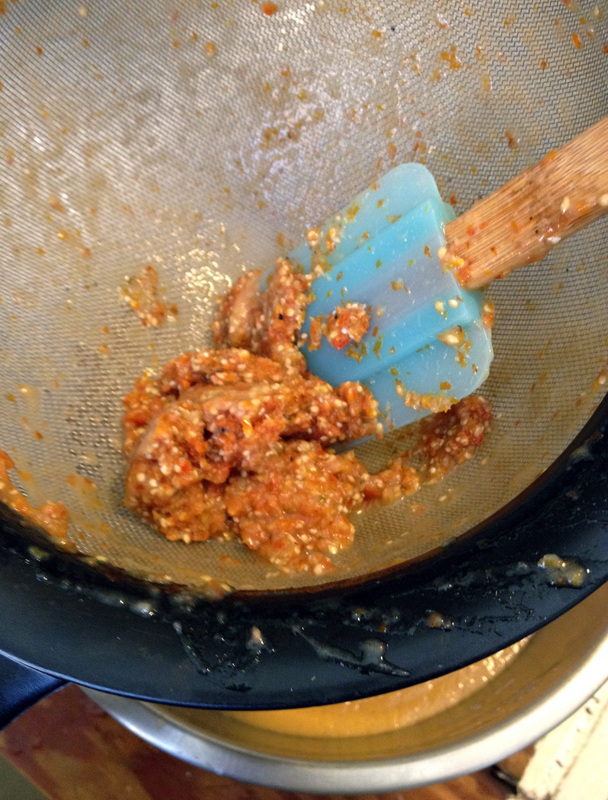 After the mixture is smooth, put it through a fine sieve strainer to get out all of the tomato seeds, skins, and bits. Top with a little bit of olive oil, some extra cherry tomatoes, a sprig of basil, and enjoy! And there you have it. One more day of summer! In a stock pot or other deep container, combine all of the ingredients except for the olive oil. 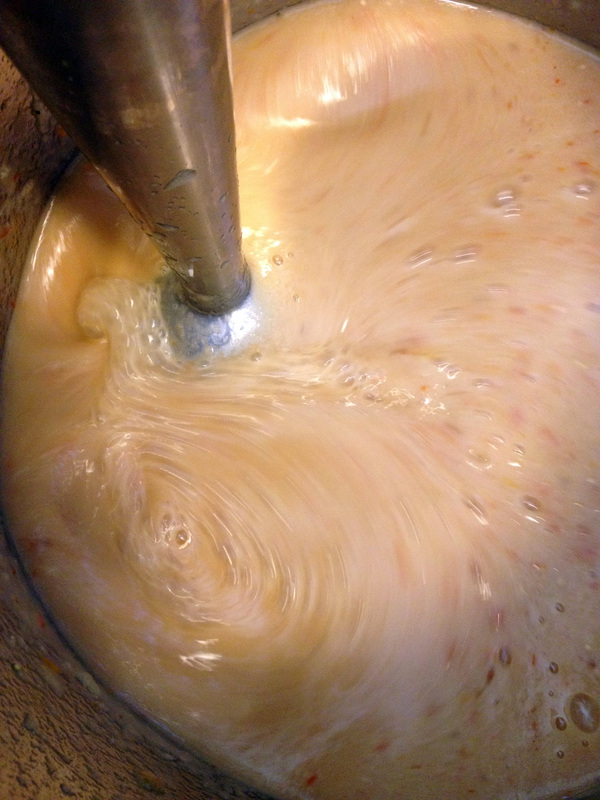 Using an immersion blender, slowly drizzle in the olive oil while blending to a smooth consistency. 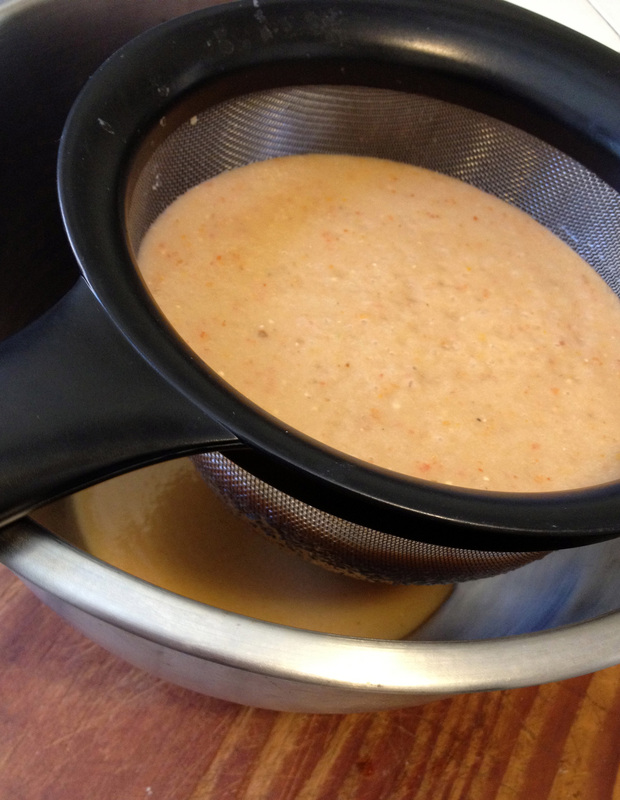 When smooth, strain through a fine mesh sieve to remove any chunks left over. Serve garnished with an olive oil drizzle, basil, chopped cherry tomatoes, or croutons.